Today’s theme seems to be BBST remembrance. Selena was one of the participants in my first BBST class, and Anne-Marie Charrett was one of my instructors for that class. In many ways, I’ve always considered Anne-Marie one of my favorite teachers, and therefore, I tend to make a point of attending any of the talks she presents at any conference I attend. To date I have not been disappointed, and I have no reason to believe today will be any different :). The Main Statement for Anne-Marie’s talk is “Test Management is still vital for large organizations but it needs to be re-invented to be able to work in an agile context”. 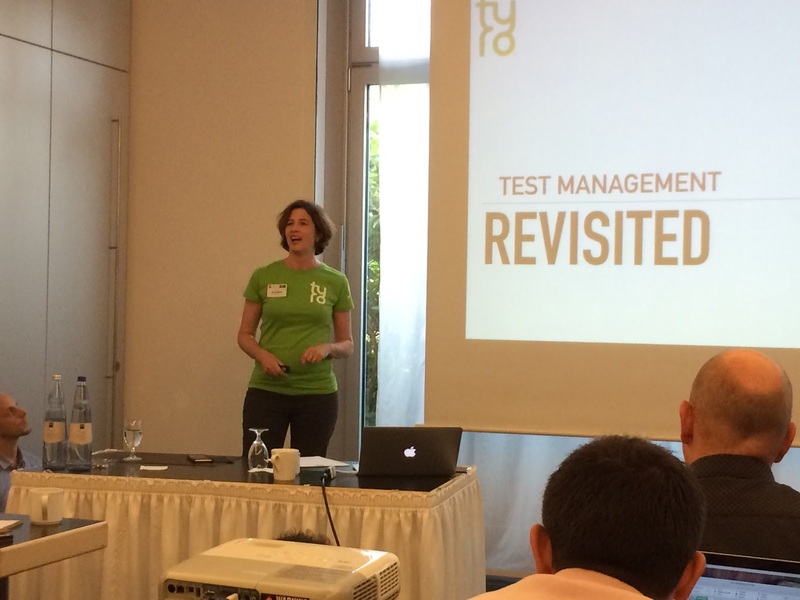 In my own world, I have been a Lone Tester more times than not, so Test Management was by default my domain. Today, I am part of a small team that has two dedicated testers, one contractor who does automation almost exclusively, and a bunch of side stuff that I do as well. Test management happens, but it’s probably a bit more haphazard than I would like. In that guide, it helps to think about what Test Management actually means. Test Leadership might be a better terminology. When Anne-Marie started at Tyro Payments, she joined a team that had five testers as the test manager (and then lobbied to be called the test lead). Tyro prided itself on being a very Agile shop in the programming sphere. As you might guess, the testers were *NOT* Agile (sound familiar? yeah, I’m sure it does). This is what happens when testers are treated as a control, but are not perceived as being part of the overall programming flow. The developers were doing lots of automation and also some of their own manual testing, so why did the company need testers again? Anne-Marie came in to help solve this problem. The first thing that Anne-Marie focused on was creating a culture for the testers to decide who they wanted to be and what they wanted to be perceived to be. the team wanted to be autonomous, responsible, autodidactic, be able to identify an effective test process, and to be courageous. Anne-Marie introduced a lot of coaching, and generally coaching is focused on specific tasks. As a test manager/leader, the coaching works best when a specific task is being performed, and the coach can be there to give 1:1 feedback. Having experienced Anne-Marie’s coaching first hand over the years, I can say that this is probably a really cool experience. This type of opportunity worked well with a smaller team, but as the team grew and developed, there started to be a break down in the effectiveness of the approaches she was using. Doing 1:1 time with a team of ten is rather hard, if not impossible. At this point, Anne-Marie decided that they needed to look at an alternative to the approach they were using. One of the key decisions they made was to delegate a lot of the traditional test management responsibilities to the rest of the team. They created a Trello board and asked everyone to take over key areas like hiring, training, retros, reporting, etc. so that Anne-Marie could focus her attention on the area she was best suited for, which was coaching and mentoring. She also allowed the decision making to be delivered down to the teams, so that she didn’t have to make all the decisions. This worked until the team got larger once again. Delegating the tasks was a help, but now with fifteen testers, the coaching was becoming rote and check list oriented. How can she get back into the key area she wanted to be to help people get skilled up? Slack was a lifesaver in the company, even though the company was anti-electronic communication. The test team decided to buck that trend, since the team of testers was becoming more distributed. I completely understand this, as my company lives and dies by Slack ;). The other benefit of a tool like slack is that it captures learnings and sideline conversations that can prove to be very beneficial later on. A challenge of being a tester is that a lot of the work we do goes unrecognized. If we have worked well on a product that is in good shape, who is going to know what you have done. As Anne-Marie points out, if you don’t tell your story, someone else will tell your story for you. Reports will likely not be read, but blog posts have a lot better chance of being read (I can attest to this 🙂 ). And they grew again, and the system started to break down again. Noticing a pattern here? One challenge of delegating and allowing people to make decisions is the fact that they WILL make decisions, and some of them you WILL not agree with. It’s vital that you can be OK with that, or at the least, have a chance to share your thoughts but still be willing to step back and let others make decisions and grow. 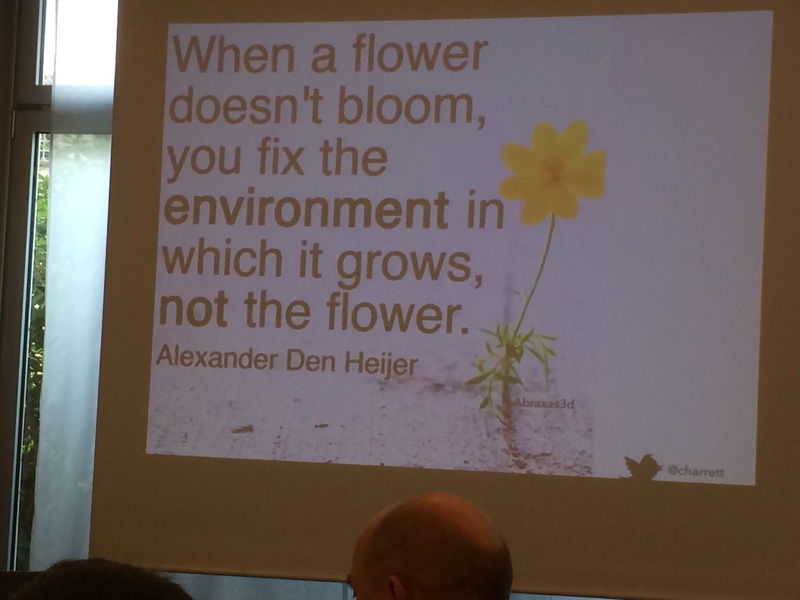 A cool quote to remember is “when a flower doesn’t bloom, you fix the environment in which it grow, not the flower (Alexander Der Heijer). Infographs were a modification that they started to use rather than create standard status reports, and they were able to visually represent things that were oftentimes hard to describe or demonstrate in other means. As of today, Tyro has twenty two testers (up from five) and the changes and modifications are consistently coming. They have to keep adapting and changing their approach, and ultimately they want to break down barriers. In short, they have learned how to pivot, and going forward Anne-Marie hopes to look at listening to her organization and better understanding their needs. Ultimately, testing is a practice, like medicine. It’s not up to the doctor to keep you healthy, but they can help you if you decide you have something wrong and need help. keeping healthy is ultimately the person’s responsibility, and in an organization, testing is everyone’s responsibility as well. Test practices are there to help when help is need, create information and sharing that information. The test team is a brand, and it needs its own sales pitch. It’s vital to think about how you and your team is perceived. Doing good work is not enough. There’s a lot of things we can do to make test management effective. Ultimately, that needs to be the primary goal.